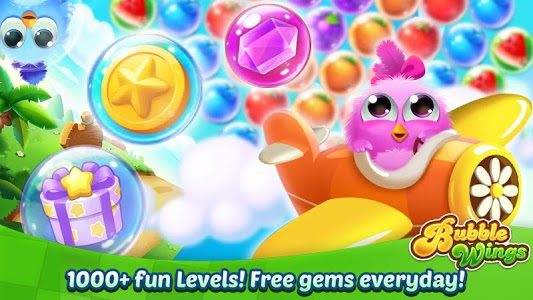 Classic bubble shooter fun in Bubble Wings. Relaxing family atmosphere and cheerful farm animals with no wifi. Dress up the chicks and decorate the room. We continuously adds more puzzle levels to this addictive bubble shooter game. To be good shooter you should be good at aiming and bubble blasting in this offline puzzle games. Match 3 bubbles and pop up to kill time. - Free to get coins, just finish some daily challenge or watch some ads. - All offline, no wifi! Just play whenever and wherever possible, without limited. 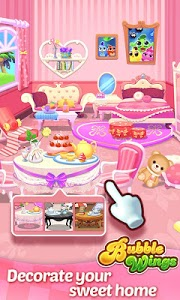 - Decorate your sweet room! Design it all by yourself as your wishes. - Over 1000 LEVELS to pop bubbles more (updating every week), the levels all made by hand and adjusted carefully. - Daily challenge to get special rewards. - The game is suitable for kids, girls and family. - Various cheerful chicks help you with great boosters. - Free aim feature for bubble shooting accuracy. - Two different color bubbles in the shooter to switch as you like. - Cute chick family to rescue. 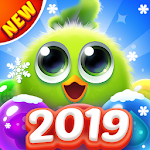 - Fun adventure through hundreds of brilliant bubble shooter puzzles. 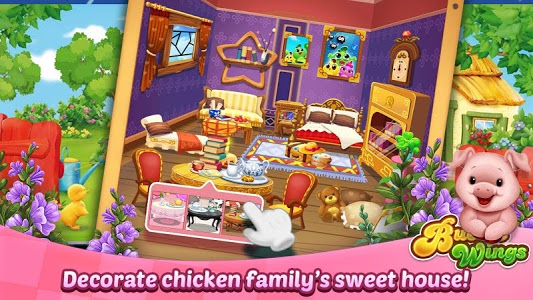 - Action-packed gameplay with DIFFERENT MISSIONS: Collect Chicks, Rescue the Chick Mom, Defeat the Evil fox. - Boosters to drop all bubbles under its line. - Bubble troubler swallowing the shooter ball and some other tricks for more excitement. - Facebook connection to play with your facebook friends. 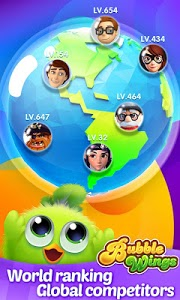 - World ranking and challenge with your opponent! For the ones tired of shooting bubbles that go down gradually in simple bubble games, this fun themed bubble shooter game offers different bubble blast missions with puzzle levels and even physics based bubble shooter levels. 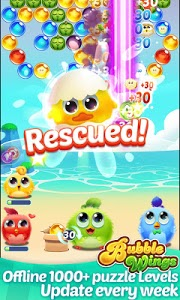 There are chick rescue modes in your bubble pop journeys. 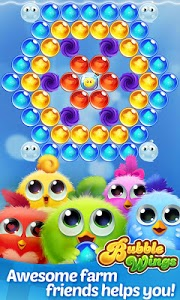 Throw bubbles to same color bubble group until you save the chicks. In some levels of this bubble game there are bubble spinner circles in the middle of which a evil fox. The aim is to shoot the bubbles around the evil fox and rescue chicks from the physics based bubble trouble. Besides, there are some bubble blasting missions to rescue the mother chicken stuck in bubbles. 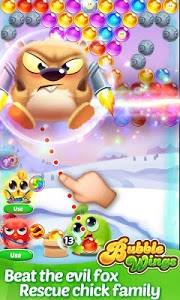 Bubble Wings is not only an addictive bubble burst game but also a brain teaser puzzle game. You should shoot bubbles carefully because you have limited bubble in your hand. If you want, you can change the bubble ball on canon with the next one for popping. Use power-ups like color ball and fire ball to pop bubbles. When you use all the moves and need extra moves, there is +5 ball power-up that gives you the 5 extra moves to continue blast bubbles. 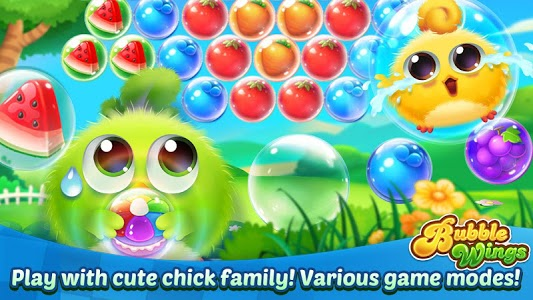 Similar to "Bubble Wings: offline bubble shooter games"